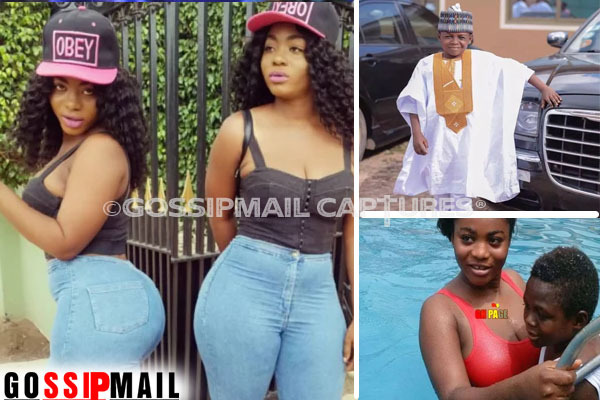 Kumawood actress, Vivian Okyere, has said in a recent interview that she will start preaching the gospel to men who are attracted to her body. The actress, who is said to be the girlfriend of Kumawood star, Yaw Dabo, claims her pastor told her that she can win souls for Jesus with her figure. Vivian said she sometimes feel guilty that men lust after her because of her figure, adding that a driver who was staring at her while she walking one day nearly caused an accident. She also denied rumours that she had enhanced her body artificially in order to land movie roles. Vivian stressed that her body was natural and that although it helps her land movie roles, she was also a good actress. "My body is not fake and I can say that somehow my body does get me movie roles but if you have the body, figure and all that but (you) don’t have the talent, you won’t go anywhere," she said. The actress has professed her love for Yaw Dabo, describing him as her "heart".